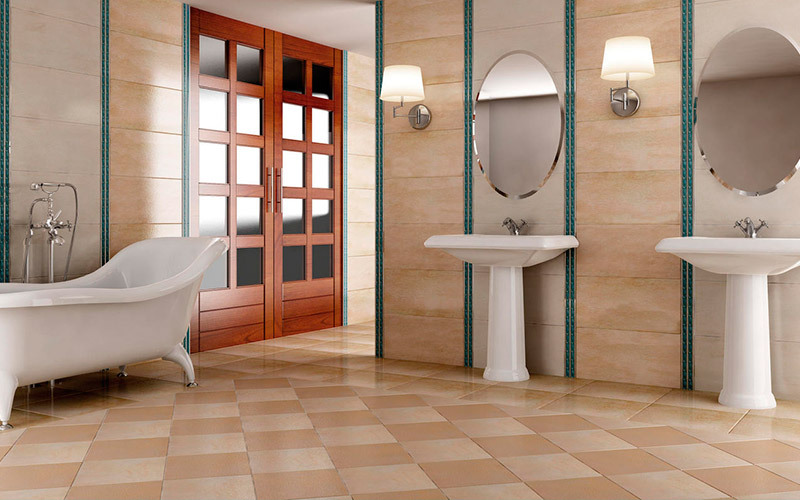 Ceramic tiles have been one of the most used finishing materials for many centuries . To apply it in the decoration began in ancient Egypt. Currently, the tiles face with facades, walls, perfectly adapts to modern interiors. But despite the apparent lack of pretension, to preserve the useful life and aesthetic appearance of the material for a long time, it is necessary to take care of it properly. Serious damage to ceramic tiles and abrasives. Surface treatment with such chemistry leads to the formation of microscopic scratches, which damages the appearance of the product and shortens its useful life. 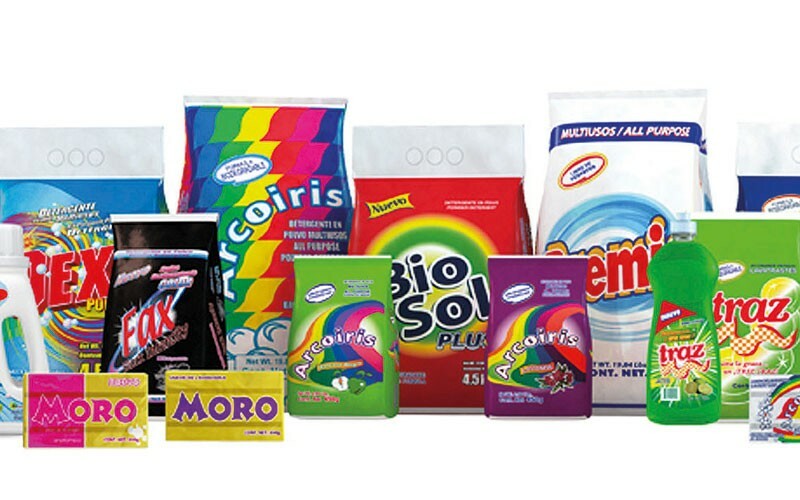 Therefore, to achieve high efficiency without damaging the material, it is necessary to carefully select the detergents and use them strictly in accordance with the instructions. Ceramic tiles and porcelain tiles are very durable and durable finishing materials that are distinguished by their long life, respect for the environment and attractive appearance. With tiles placed the walls and floors in the bathroom, decorate the kitchen and the paths in the garden. It is resistant to humidity, changes in temperature and ultraviolet rays. But even though this material is one of the most durable, take care ceramic tiles anyway is necessary. The care of porcelain tiles is quite easy, since this is a material that is not marble. From the surface of the products, you can quickly and easily remove any dirt and stains. This tile resistant to chemical attack. However, the seams and spaces between the products are exposed to the negative effects of aggressive compounds, so it is important to choose safe tanning agents in the bathroom or in the kitchen. You can buy special products for tiles, porcelain tiles and ceramic tiles. Such formulations include a natural or synthetic wax that is applied to the surface of the material and ground on the surface with a spatula. Then you can wash the floor or the tile walls with running water. This composition effectively cleans the products and prevents the appearance of cracks. It is recommended that this treatment be performed once a year. To wash floor or wall tiles and porcelain tiles, you can not use acids, as they corrode the seams between the products. Do not take abrasive powders, hard or metallic brushes or sponges, as they scratch the surface. And the use of alkaline agents and solvents is not recommended. If you use brushes, take colorless products. The colored brushes are detached, leaving colored bristles in the coating, which complicates the cleaning process. The cloths choose microfiber or wool, since they do not scratch the surface and effectively. The baking soda will help remove stains and old dirt. Mix soda with a small amount of water and a sponge clean up the problem areas. Then clean the sponge with water, wash the composition gently and clean the tile with a napkin or dry cloth. After laying the siding, it is important to clean the tile of the adhesive, cement and grout. This not only ruins the appearance, but also contributes to the accumulation of dust and dirt. 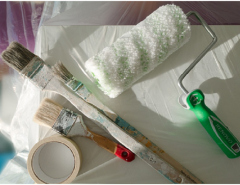 To remove leftover building materials, use hydroelectric acid or other aggressive compounds. Work with such tools neatly and only with the use of rubber gloves! The joints between the tiles are moistened with water and then treated with a weak solution of hydroelectric acid. This cleaning method is used only after repair or installation, in the future the use of acid should be discarded. More, how and what to clean the slab on the floor after repair, read. For processing, use a soft cloth or sponge. Before wet cleaning, be sure to clean the surface of the walls with a dry cloth or dust it with a soft brush, brush the floor with a broom. 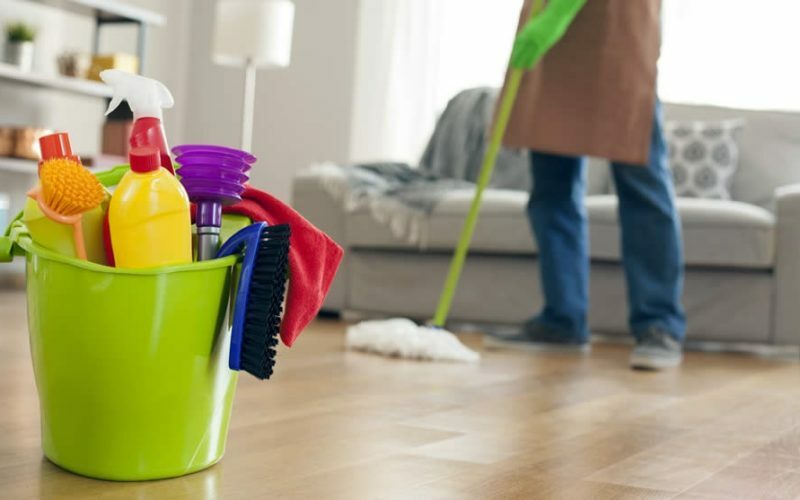 Dry dirt from the floor covering is cleaned with a broom or vacuum cleaner, then the floor is wiped with a damp cloth. To effectively clean the walls, start wet cleaning from the top and lower. And clean the dry surface, on the contrary, from bottom to top. If stains of coffee, tea, juice or soft drinks remain on the tile, you can clean the products with a weak solution of baking soda and water. The greasy stains will also eliminate the soda, to remove the plaque, use vinegar or citric acid. Glue, paint, varnish or wax is removed with acetone or gasoline. To clean joints and joints between the tiles, use a conventional toothbrush. For the prevention of fungi and mold, periodically treat these areas with antibacterial or anti fungal agents. The most difficult to care among the different types of granite is the polished material. On a shiny surface, chips and scratches are easily formed, mold can form. To prevent this from happening, polished tiles should preferably be treated with water repellent the first time after placement. 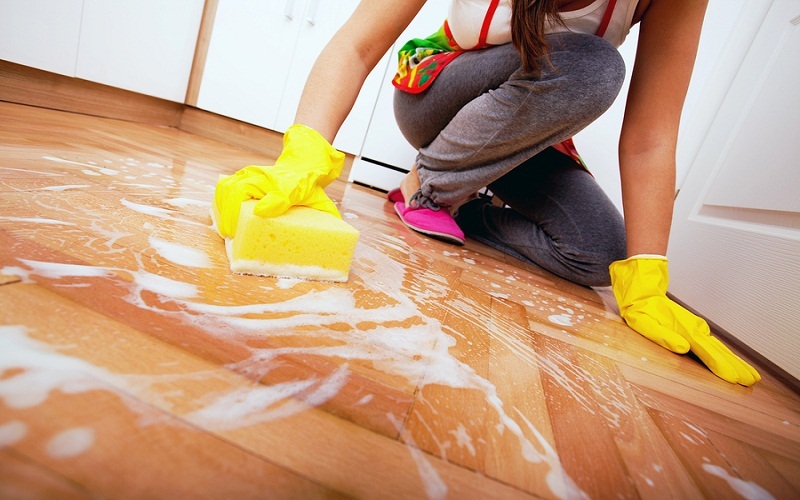 To clean shiny tiles, do not use products that contain organic acids and fats. Such compositions form a film and a coating on gloss. In addition, in the bathroom due to the bright tiles of high humidity after this treatment will lose its shine. The material can mold. To avoid these problems, wash the shiny ceramic granite only with clean water, soap solution or mild detergents. To clean polished porcelain tiles, take soft cloths and brushes or use a vacuum cleaner. Use formulations of specialized liquid detergent for such material. Clean and polish the tiles safely, if necessary, mask scratches, cracks and other defects. To simplify the cleaning, it is better to place Matt porcelain tiles in the places exposed to the greatest contamination. The Matt surface is practically not subject to contamination and deformation, to humidity. In addition, for said coating, it is possible to safely use the hydroelectric acid and the calcium lime. Ceramic tiles are one of the oldest and most popular decoration materials. Its multi-artillerymen history as the first ceramic tiles, although they had not looked as modern, were made in ancient Egypt and the countries of the ancient East, using practically all the premises and for the paving of patios. In the aspect of the tiles they mean it does not require any maintenance because its beautiful surface is very easy to clean and water repellent. However, for the tile to serve as long as possible, it is necessary to take care of it carefully and follow a series of basic rules. Do not place tiles and chemicals with abrasive particles, even the smallest and most discrete ones at first sight. The fact is that abrasive powders clean the surface, remove the top layer and leave a lot of micro scratches. The tiles so clean, it is almost impossible to restore the original appearance. Tile, covered with glaze, embossed or glossy, it is impossible to apply any soap, including economic solid or soft drinks, nor the smallest abrasive powder, as it increases the wear surfaces and durability of the coating becomes highly questionable. 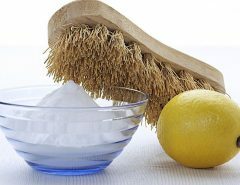 Therefore, all cleaning agents for ceramic tiles are based on aggressive chemicals, mainly acids. Easily dissolve the most difficult contamination, including old ones. For the basic substance can be added flavorings, dyes, but it is generally more important – that the presence of acids, more or less potent, and that cleanses and kills pathogenic microbes.